Country music singer-songwriter Eric Church's 'Double Down Tour' has grown! More details on the newly added dates and stops here! 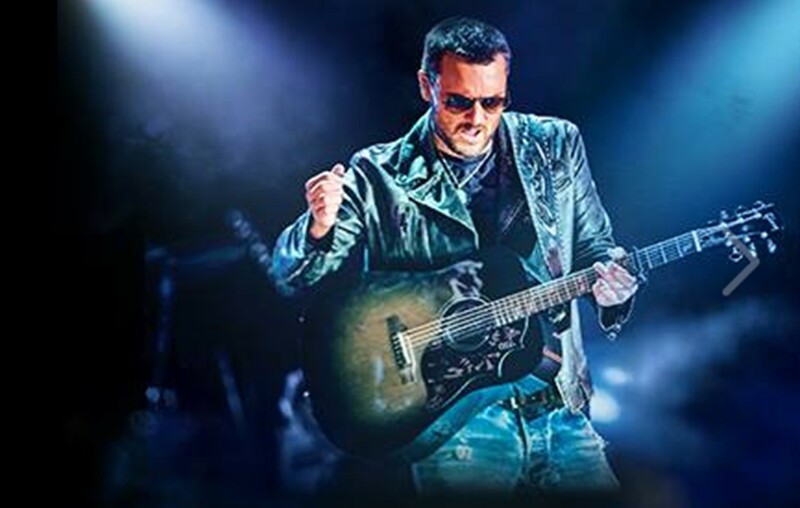 Country music superstar Eric Church‘s Double Down Tour has expanded! The star has added 13 shows across eight cities (with multiple nights in select arenas) to his 2019 trek, Sept. 13 through Nov. 23, to follow the 19 cities previously announced this spring. Tickets go on sale to the general public on Friday, March 22 at 10:00 a.m. local time. “I don’t want to be two months from the end of this thing – so we’re going to play a little more… I can’t thank you enough for what this is and what I’m seeing every night. I appreciate everybody giving me everything they’ve got and I look forward to seeing you on the road!,” Church shared with fans. March 22 & 23 – Allstate Arena, Chicago, Ill.
March 29 & 30 – Fiserv Forum, Milwaukee, Wis.
April 26 & 27 – Bon Secours Wellness Arena, Greenville, S.C.
May 3 & 4 – PPG Paints Arena, Pittsburgh, Pa.
May 10 & 11 – Pepsi Center, Denver, Colo.
May 17 & 18 – STAPLES Center, Los Angeles, Calif.
May 25 – Nissan Stadium, Nashville, Tenn.
June 28 & 29 – The Gorge Amphitheatre, George, Wash.
Sept. 13 & 14 – Resch Center, Green Bay, Wis.
Oct. 11 & 12 – Wells Fargo Center, Philadelphia, Pa.
Oct. 25 – Verizon Arena, Little Rock, Ark. Nov. 1 – SNHU Arena, Manchester, N.H.
Nov. 2 – XL Center, Hartford, Conn.
Nov. 15 & 16 – The Anthem, Washington, D.C.
Nov. 22 & 23 – Golden 1 Center, Sacramento, Calif.
Eric is currently making his way up the country charts with his latest hit, “Some of It.” Watch the official lyric video below! Share this Double Down Tour update with other country music fans!